After graduating high school, most students are taking the summer to gear up for college. That wasn’t necessarily the case for Noah Hillerbrand, '18. A native of Chicago, Ill., Hillerbrand took a year in between high school and college to spend six months in East Africa working with a community organizing nonprofit. Hillerbrand had always been interested in the sciences and medicine, but while in Kenya, Tanzania, and South Sudan, he realized his calling to support under-resourced communities. The Bonner Scholars Program is what drew him to the University of Richmond, because he believed it was an opportunity to do just that. For his first three years as a Bonner Scholar, he served at CrossOver Healthcare Ministry and fulfilled a number of roles varying from working in the front office to translating for patients. During his sophomore year, he experienced his first community-based learning class with the Sophomore Scholars in Residence program, "Global Health, Medical Humanities, and Human Rights," taught by professor of political science Dr. Rick Mayes. From there stemmed his interest in being a healthcare studies major, with a minor in biology. 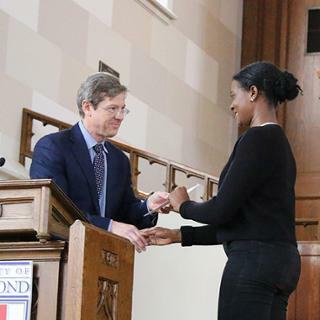 This fall, Bryan Figura, associate director of operations at the Bonner Center for Civic Engagement (CCE), was asked to nominate a student to support a healthcare coalition in metro Richmond. 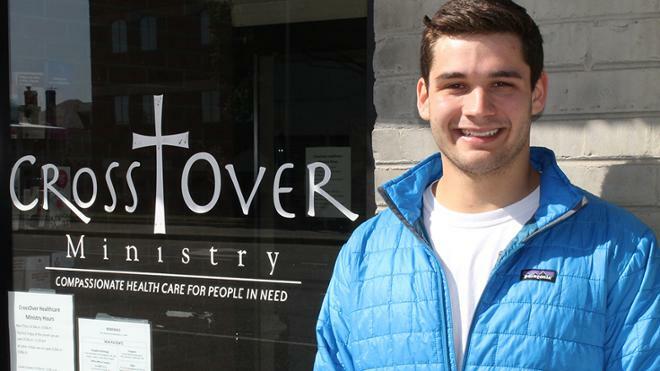 “When we began to think about who this student might be, Noah immediately came to mind because he knew CrossOver Healthcare Ministry, one of the coalition members, and the work is connected to his academics” Figura said. The Richmond Coalition of Safety Net Providers formed as a collaborative effort to promote and provide access to affordable, quality healthcare services. Hillerbrand, with guidance from Mayes, researches coalition best practices and studies healthcare coalitions around the country that have been successful. "It’s interesting because I am seeing the same organization that I did more generalized service at for three years and now doing research at a more policy and theory level and have a much broader understanding of what factors a clinic has to deal with to continue to provide that same care I assisted with," Hillerbrand said. Hillerbrand credits the Bonner Scholars Program with his professional as well as personal development. 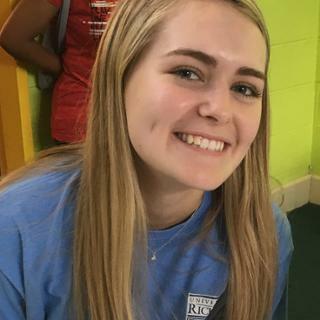 "From the first day of my freshman year as a Bonner Scholar, I’ve had a connection with the city of Richmond that I don’t believe I would’ve had otherwise," Hillerbrand said. "You have to understand an issue area and community in order to effectively work for change." As he prepares for graduation in May, Hillerbrand has his sights set on medical school. He plans to attend VCU School of Medicine and continue his work with the Richmond Coalition of Safety Net Providers. 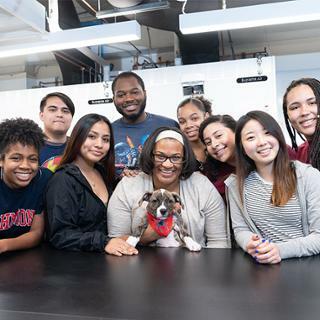 After Shannon Jones' dog passed away in January, her students worked together to find her a new puppy.